A shocker to say the least and this comes in a week that also saw KK Downing leave Judas Priest. Nevermore have parted ways with long standing guitar virtuoso Jeff Loomis and drummer Van Williams. It is the departure of Loomis that makes this news so shocking, with no disrespect to Williams intended. 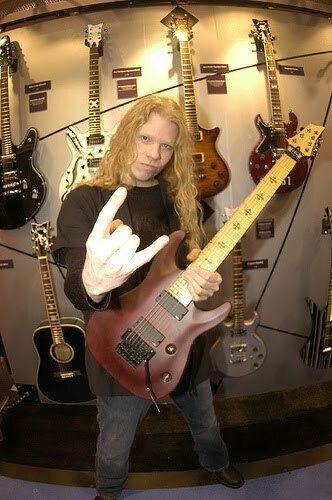 Jeff Loomis is the blood of Nevermore, his guitar paying coupled with Warrel Dane’s vocals created the band’s unique and staggering sound. Where the band goes now is anyone’s guess.